2). Select the input and output devices which you want to interface (like input devices are sensors, switches etc., and output devices are motors, lcd display etc.,). 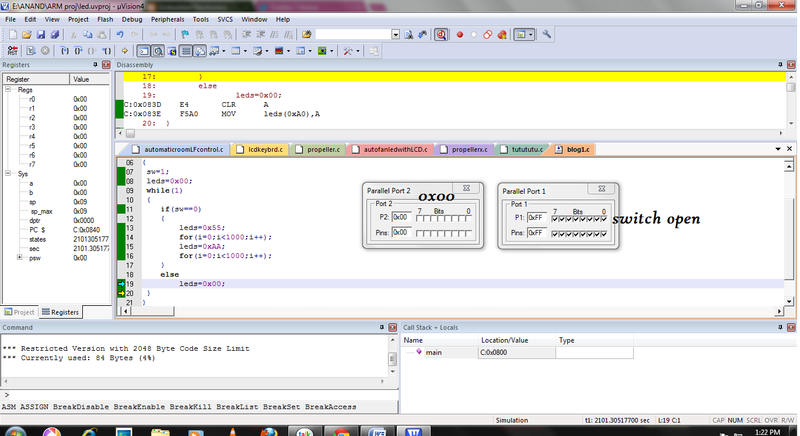 3).The input and output devices must be selected as per our requirements only. 4). Take out your required functioning and draw the simple block diagram of the system. 6). Select the I/O devices and controller for your system. 7). 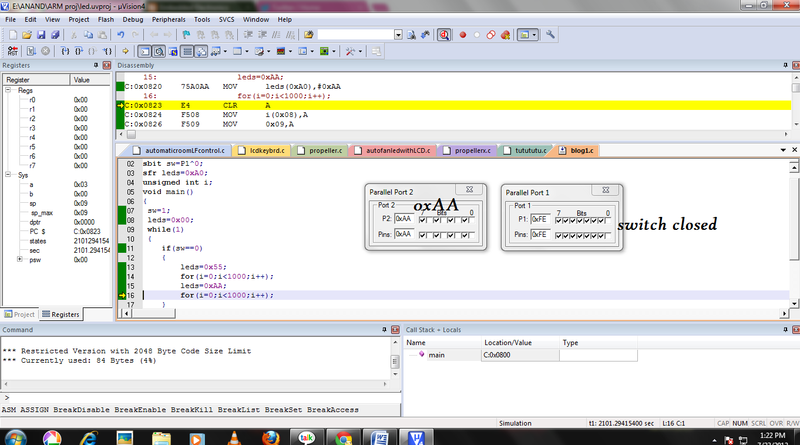 write the functioning code in Embedded-C or in any language.. and check the functionality in KEIL simulation software. 8). 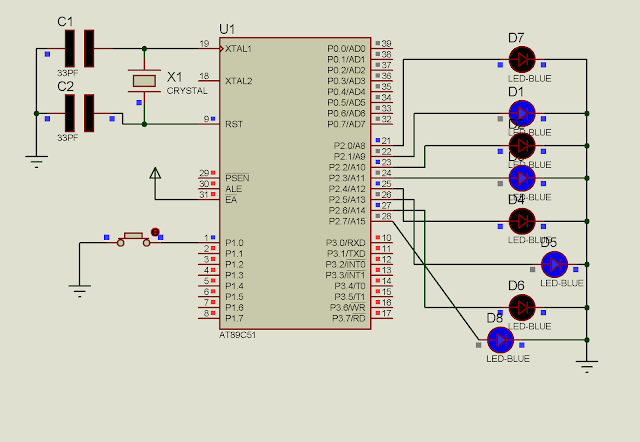 Design your own circuit now. There are some important things while designing the circuit. i). Study the datasheets of the selected devices and find the operating voltage and current levels. ii). find if there is any requirement of oscillatory circuit. 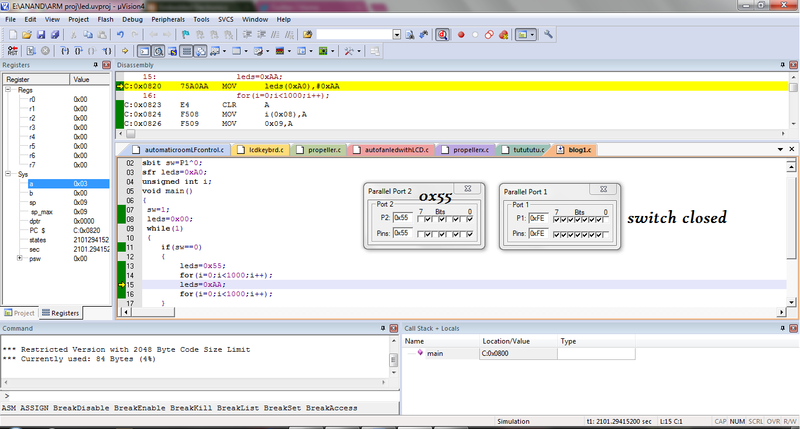 parameters are available in datasheets. v). 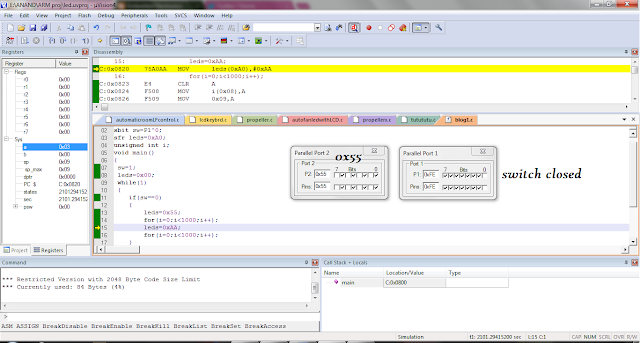 if every thing is properly soldered then insert IC's and then dump the program into the controller. vi). now check the functionality of the circuit. 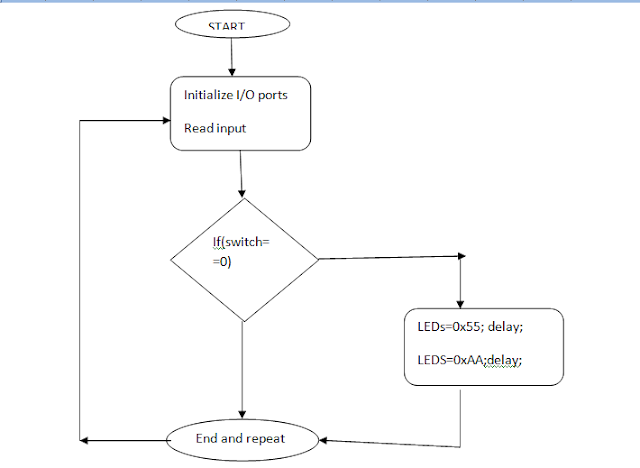 1).We consider a simple circuit that operates LEDs in a blinking fashion when a switch is pressed. This is our requirement. 2). 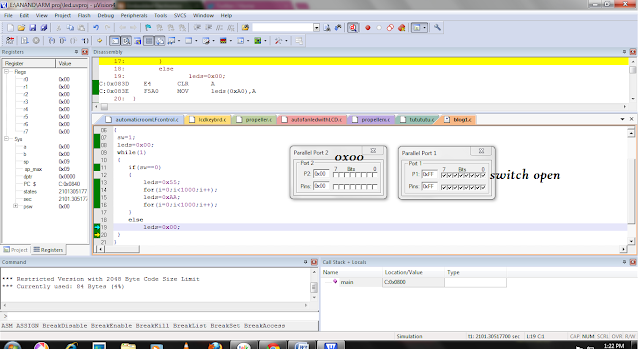 the input devices are SWITCHES and OUTPUT devices are LEDs. And one controller. 3).when the switch is pressed the leds should blink in a fashion. 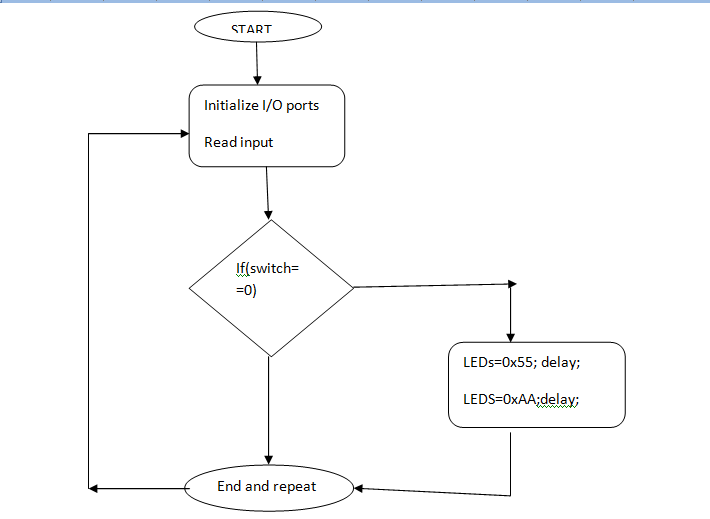 flowchart expresses when the switch is closed means connected to ground microcontroller will send 0x55(in binary 0101 0101) is send to leds port and after some delay it sends 0xAA(in binary 1010 1010) to LEDs port. Otherwise LEDs will not blink.